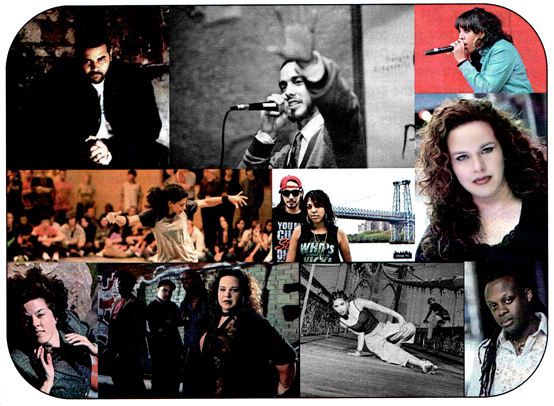 The Bronx Music Heritage Center (BMHC) is pleased to announce the “Hip Hop – Then, Now and Tomorrow” roundtable will take place on Wednesday, January 4, 2012 from 6:00pm until 8:00pm at BRAC on the Block in the Bronx Art Space. 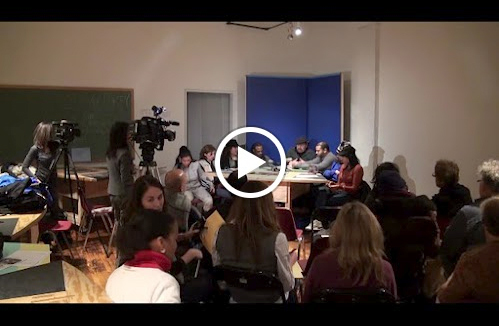 This is the second roundtable discussion that is part of the Shifting Communities 3 exhibit at the Bronx River Art Center. The roundtable will be moderated by Bill Aguado of the Bronx Music Heritage Center with guests: Patty Dukes and Reph Starr of Circa 95, Steven Sapp and Mildred Ruiz Sapp of UniVerses, Fred Ones, Jane Gabriels of Pepatier, and Rockafella of Full Circle Dance. Each of the roundtable participants has included within their body of work a sense of cultural and social justice. Hip hop has become the chronicler of our times, providing historical context of issues, concerns, social attitudes, and negative stereotypes Panelists will be asked to reflect on hip hop as they remember it and talk about what hip hop is today. They will also be asked about how the changing demographics influenced hip hop as a genre. The BMHC is committed to preserving the legacy of hip hop and other music genres in the Bronx for current and future generations. This conversation will be documented in audio and video and will be added to the growing archive of the Bronx Music Heritage Center for sharing with the broader community. 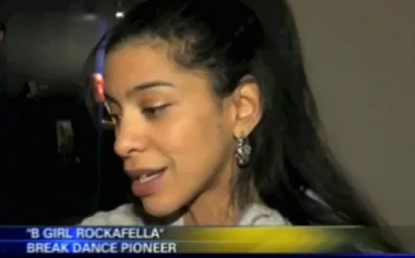 This event was featured on Bronx News 12. Click HERE to see the video coverage. To see full video documentation of this Roundtable event, please click HERE. Special thanks to gallery artist Hatuey Ramos-Fermin and The Bronx Music Heritage Center (BMHC) for organizing the event.